It feels like we've been down this road before, but this time we may be lead to a different destination. Motorola's XT316 went through its paces at the FCC a couple months ago with Chinese 3G bands, which indicated there was seemingly no hope of the Android device seeing the light of day in the US of A. This time around, the smaller version of the Droid Pro's been given the federal go-ahead with AT&T-compatible 3G bands. Everything else appears to be the same, right down to the identical drawing of the handset's dimensions. Does this mean the XT316 will be in stock at your local store anytime soon? We can't say with certainty, but at least the government won't be standing in your way. 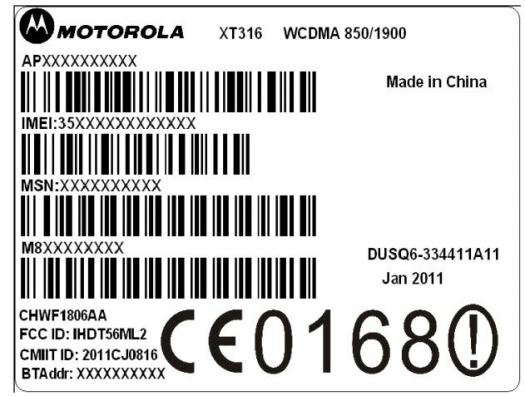 Motorola XT316 passes second round at FCC, this time endowed with AT&T 3G originally appeared on Engadget Mobile on Thu, 30 Jun 2011 23:54:00 EST. Please see our terms for use of feeds.